Some Add On items are steady and reliable, always there when you need them and if you’re lucky, you can even Subscribe & Save. But often, they are here today and gone tomorrow. Comments such as “kiss of death” and “undesirable” were the sentiment of most sellers. They don’t ask for their items to be labeled Add Ons and they are not even notified when it happens. When they discover it has happened, the fix is to raise the price in an effort to get Amazon to change the item’s Add On designation. Amazon’s warehouses are filled with two types of products. The majority of those products are not owned by Amazon, but by individual merchants/sellers. These products are in storage until sold and shipped. When sold, the merchant gets paid (minus some fees). 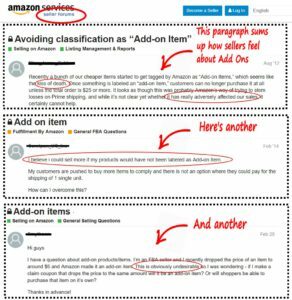 The other (and less common) type of product is from Amazon’s Vendor Program. This is where Amazon has purchased the products from the merchants in advance of sale and has full control of marketing. 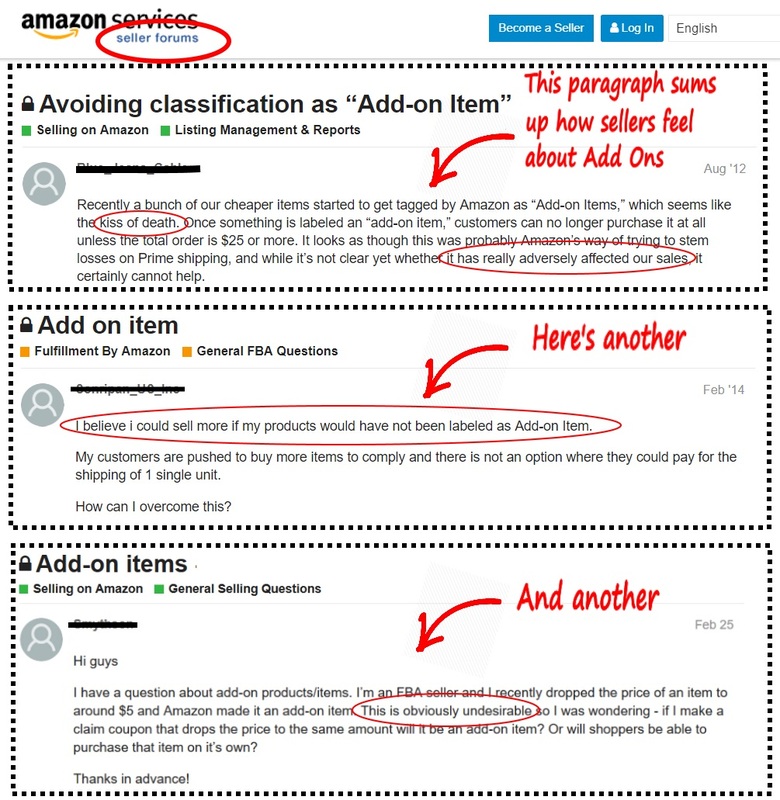 The Amazon Add On items that do appear most consistently are often products that Amazon has acquired through the Amazon Vendor program. Stock up on these items while they are still available! 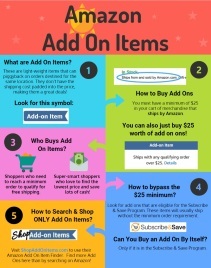 We at PrimeAddOns often spot great deals and post them on our Amazon Add On Shopping Grid and on Facebook as soon as we find them. Sometimes these deals will only be there for a few days. Be vigilant!